I’ve always thought that rattan was a thing best left in the 70s or in boho homes, or chic patios, or in vacation homes in coastal-wherever. Mark me down as wrong because giiiirl the rattan I’ve been seeing is gorgeous. Whether used in traditional (as above) or modern (below) rattan is back and is looking timeless. If you’re thinking – slow your roll, you’re throwing this rattan word around and I don’t even know what it is, don’t make me google it – I’ve got you. Rattan is made from a specific type of palm and used to make baskets and furniture. How is this different from wicker? Wicker actually refers to a specific type of weave and not an actual material. Wicker furniture is often made of rattan. The key to making rattan work in your home is the key to most things – moderation. 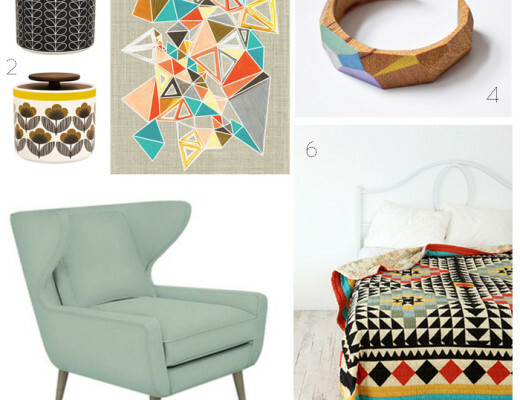 Choose one solid, showstopping piece and carry your aesthetic out around it. 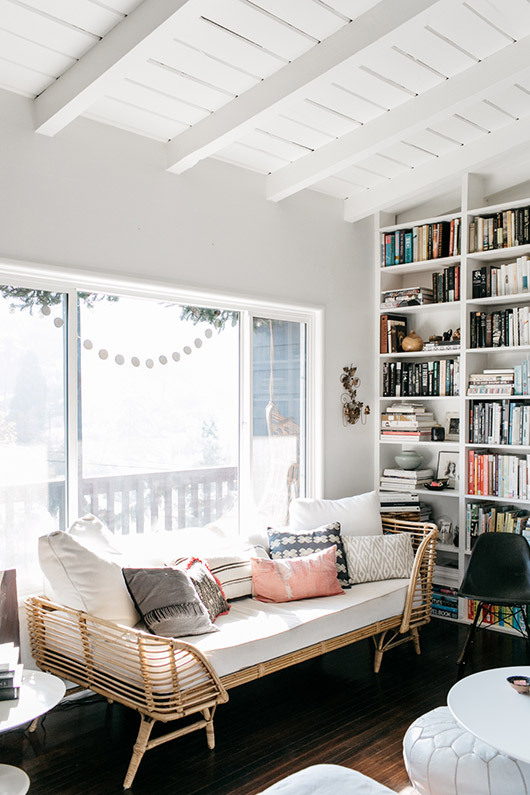 Victoria of sfgirlbybay flawlessly mixed this rattan daybed with midcentury modern tulip tables and an Eames chair. 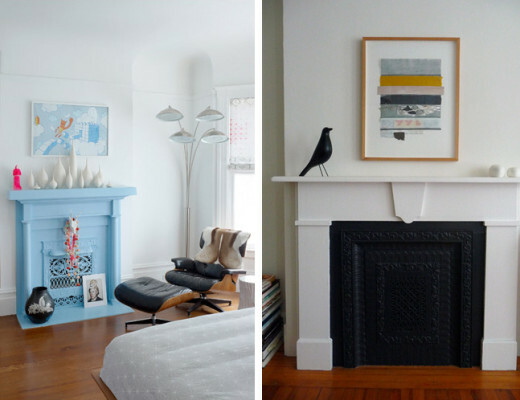 Her bright white walls and shelves stacked with books make for a neutral canvas to showcase this stunning piece of furniture. This view from Rejuvenation is basically everything I want for our dining room. 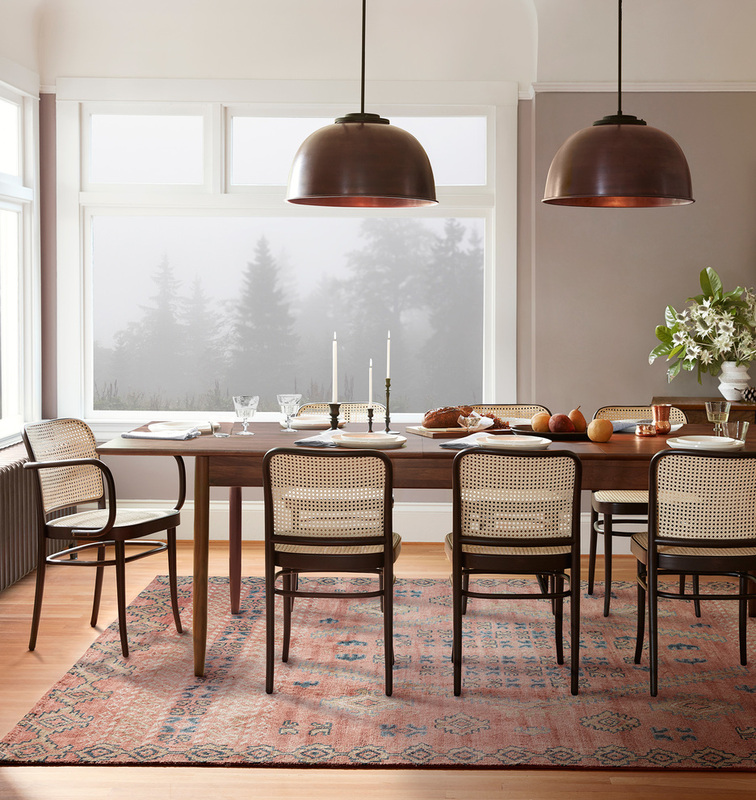 The rattan caned chairs are timeless and perfectly paired with a midcentury table and traditional rug. My kingdom for a Rejuvenation budget. Caning is a great way to use rattan in your home if you’re nervous about going all out for more statement-making piece bent out of thick rattan. 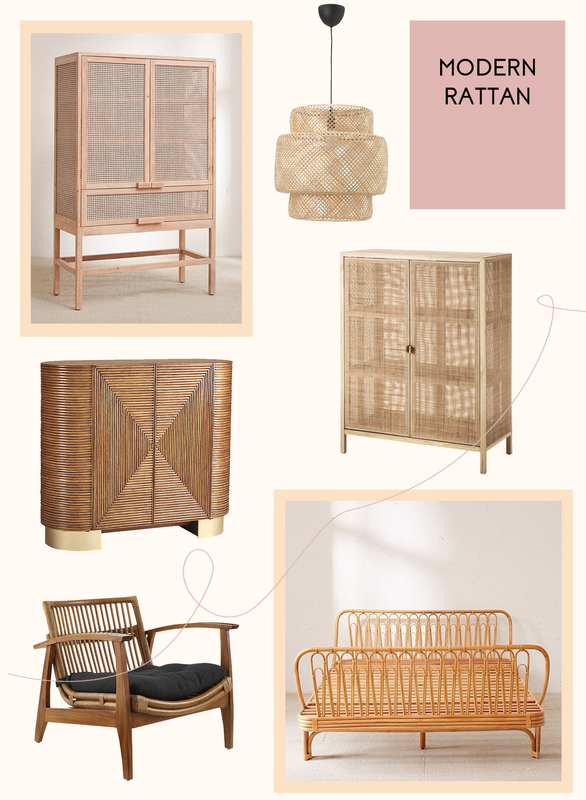 These are just some of my favorite pieces out there right now – everyone’s getting in on modern rattan. This is a solid trend that you can pick up from both luxury and more budget brands right now. I’ll admit I only have one piece of rattan in my home right now and it’s the SINNERLIG Pendant Lamp from IKEA in our dining room. 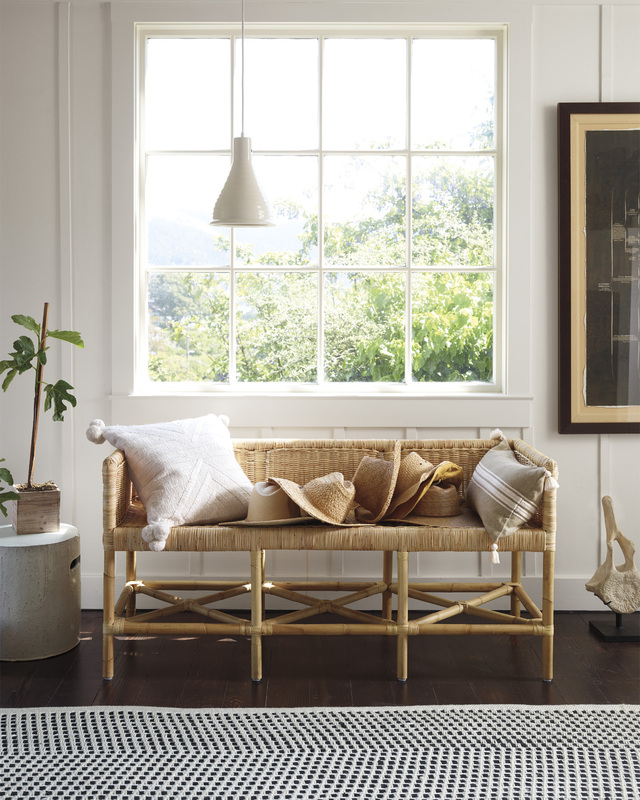 When I saw CB2s new rattan pieces, I gasped – like out loud. 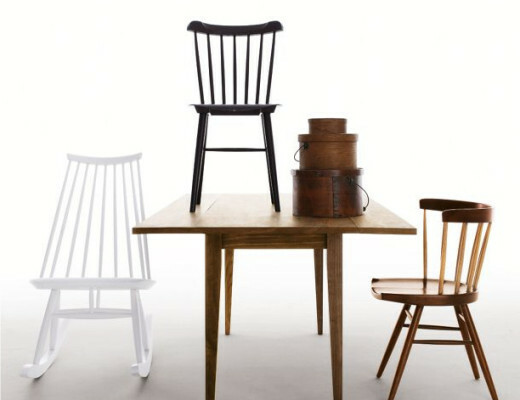 Beautiful examples and YESS….. for rattan. Bro-in-law bought their ‘wedding bed’ in rattan – and is celebrating the 25th wedding anniversary in April 2018…. still with the same bed! We bought – at the time in UK – MARCEL BREUER chairs (with and w/o armrests) but were not totally happy with the quality of the seats…. would love to sell them but can’t – nobody has any money and the Ikea copies are too similar to those fancy schmancy Breuer chairs.